What makes Coventry special? Our amazing staff of dedicated professionals! Our staff are completing degrees in Animal Behavior, Psychology, Biology and Zoology. Some are Veterinary Technicians, successful competitors in various dog and horse sports and others have cross-species experience. All of them are dedicated to loving and caring for your dog! Our Senior training staff has extensive hands-on experience in training, evaluating and modifying canine behavioral problems. Additionally, they possess years of formal education. Members of, and certified through, nationally-recognized organizations, our Behavior Counselors are skilled in problems ranging from fear and anxiety to aggression. They hold Graduate Certificates in the Advanced Psychology of Animal Behavior and Conservation from CUNY’s Hunter College. Why is Coventry training different? Because we have the most educated and skilled professionals on our team. Our high standards for our trainers is unparalleled. Our trainers have accreditations from nationally known and accredited institutions. Anyone can call themselves a dog trainer but at Coventry, we prove it! Our proven curriculum is recommended by Veterinarians, who bring their own dogs to us! Elisabeth (“Liz”) Catalano, M.A., CPDT, CDBC is a professional dog trainer and a behavior counselor with nearly 20 years of experience in dealing with canine behavior problems. She is the Director of Behavior and Training of The Coventry School, Inc. for Dogs and Their People. Liz is skilled in behavior modification techniques and is committed to scientifically-based positive reinforcement animal training. Liz is passionate about making training fun for both people and dogs, increasing their bond and helping them achieve success. 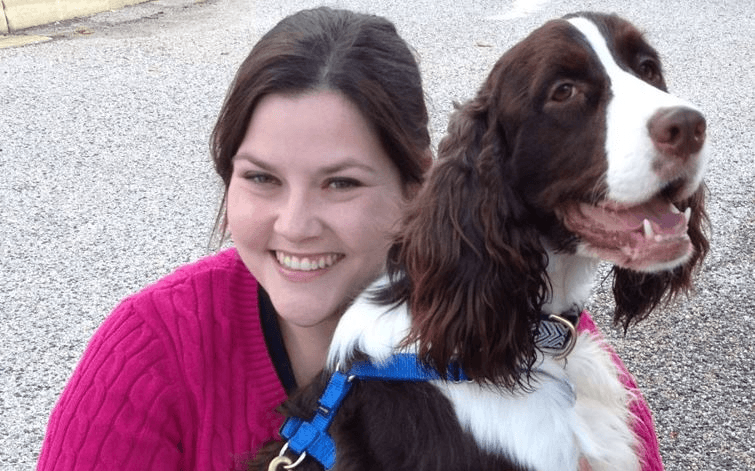 Liz has extensive experience teaching and developing specialty classes, including dog-to dog aggression classes and has created varied classroom curriculum to train dogs to all levels of performance. In addition to training dogs and their people, Liz has also mentored and provided instruction to trainers on learning theory, ethology, instruction skills, classroom management, and dog handling as part of a nationally recognized accreditation program. Dedicated to continuing education, Liz routinely attends seminars, intensive study programs and operant conditioning workshops to enhance her knowledge and increase her skill. She has been mentored by the internationally known trainer Bob Bailey and was privileged and honored to have co-taught two seminars with him in 2017: Effective Coaching for People and Dogs, and Training Dogs and People Efficiently. Liz is a regular contributing writer to Maryland Dog Magazine. She has also been published in APDT’s Chronicle of the Dog, a peer-review journal on the special considerations in training a deaf dog,“Pet Parent” Magazine, and appeared on NJ’s local Channel 12’s “Pet Stop”. Liz was a featured speaker at the 2011 Hunter College Psychology Symposium and at the 2012 International Association of Animal Behavior Consultants Educational Conference. Liz’s own dogs are trained as a classroom demonstration dogs, are Certified Therapy Dogs, have earned titles in agility and obedience, Nosework and have even ‘played’ with sheepherding. Her dogs have appeared in books, calendars, commercials, fundraising campaigns and nationally-released training videos. When not training dogs, Liz works on her book and is an amateur photographer. She has enjoyed the company of multiple canine companions for many years and currently shares her life with her husband and their four deaf Australian Shepherds. 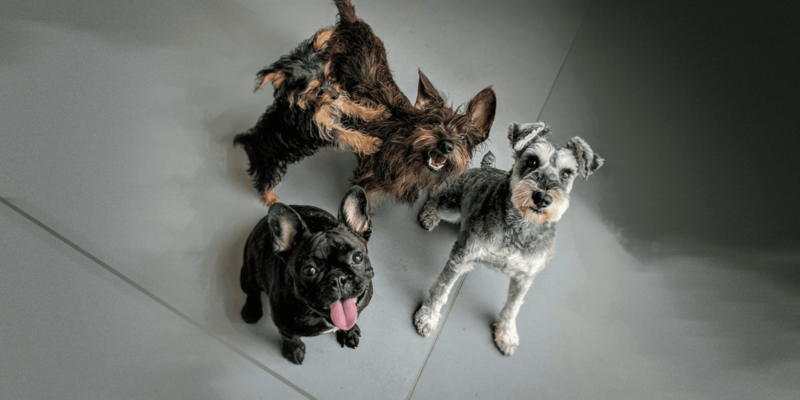 Liz is a member of the Association of Pet Dog Trainers (APDT), The International Association of Animal Behavior Consultants (IAABC), The Animal Behavior Society (ABS) and an AKC Evaluator. Liz holds a Master’s Degree in Environmental Management and a Graduate Certificate in The Advanced Psychology of Animal Behavior and Conservation from CUNY’s Hunter College. is a skilled dog trainer and behavior counselor with over 15 years of experience working with dogs. Jen has a BS in Biology and when she is not training dogs, she is conducting statistical analyses on cancer research data. An educational background in science helped Jen appreciate that dog training is an applied science. Her belief that the basic understanding of how animals learn and possessing the skills to train effectively are the keys to having a loving, cooperative, and rewarding relationship with your dog makes her an asset to Coventry. She is committed to passing on that knowledge to her students in a clear and engaging way. 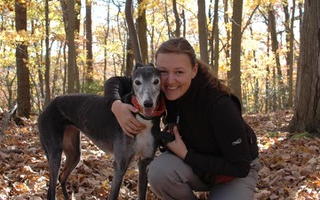 Jen has always had a love of animals, but became more focused on training in 2002 when she became involved in greyhound rescue. She spent more than 10 years volunteering with her local greyhound rescue group, fostering over 60 dogs and helping to develop and implement the group’s foster and training & behavior programs, and ultimately sat on the board as a member for several years. She has since also volunteered her time with the Prince George’s County Animal Shelter and local rescue group, PAW (Partnership for Animal Welfare). After educating herself about dog training through extensive reading, attending continuing education seminars along the East coast, and attending the Animal Behavior Management Association’s annual conference in 2010, Jen decided to pursue a more formal education in dog training so that she could share her knowledge of and passion for reward-based training through teaching classes. She has since graduated at the top of her class from three 6-day Dog Behavior And Training Academies taught by Pat Miller at Peaceable Paws, as well as completed 4 intensive operant conditioning chicken workshops led by learning & behavior expert Parvene Farhoody and world-renowned animal trainer Bob Bailey, where she solidified her understanding of learning theory and fine-tuned her hands on training skills. 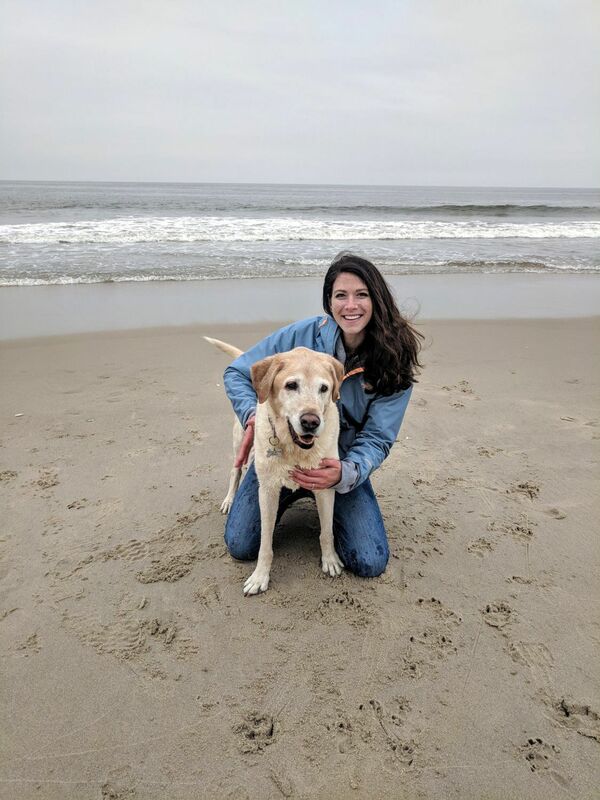 When she’s not teaching classes at Coventry or working at her full time job as a statistical analyst, Jen can be found spending time outdoors, reading the newest book on canine learning theory, or hiking, playing, or training for agility & nosework with her greyhound, Violet and her mixed breed, Skye. has been a dog trainer at The Coventry School, Inc. for Dogs and Their People since 2009. She has over 15 years of animal instruction experience; initially teaching, training, and coaching horses and riders before shifting her focus to dogs. Stephanie focuses on providing a welcoming, fun, and effective training environment for all of her students, both human and canine. 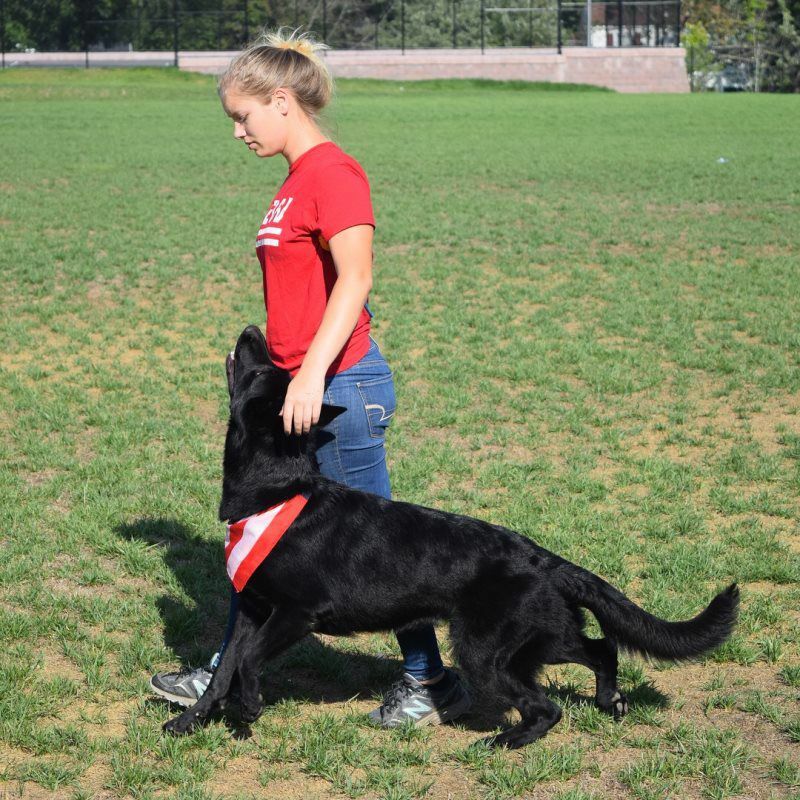 She trains using a scientifically-based approach proven to change behavior and is committed to the use of positive reinforcement methods with an emphasis on building a strong relationship between dog and handler. attends many seminars and workshops given by leaders in the fields of animal training, operant and classical conditioning, and positive reinforcement techniques. dog sports, including rally obedience and agility. 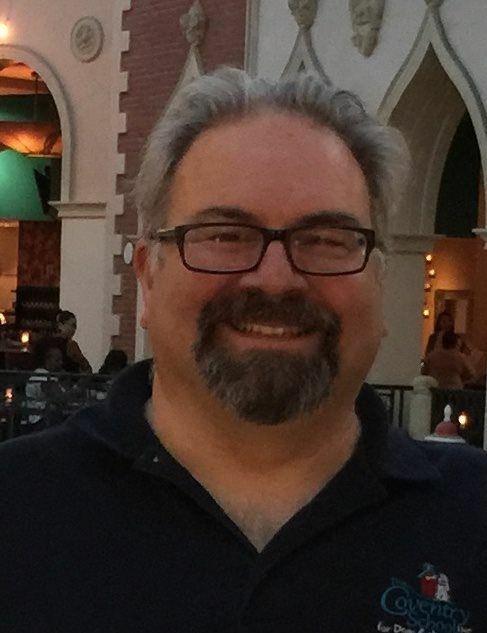 Vincent (“Vinny”) Catalano, M.B.A., CPDT-KA, CDBC, CNWI is a professional dog trainer and behavior counselor with 20+ years of experience in dealing with canine behavior problems. He specializes in aggression and multiple dog issues and has counseled countless owners over the years. He is the President and co-owner of The Coventry School, Inc., for Dogs and Their People. Vinny co-developed a group of courses designed to rehabilitate dog-aggressive dogs. This program has since become the model for other growl classes and is recommended by Behaviorists across the country. The program focuses on calming reactive dogs using classical conditioning and positive reinforcement. Vinny provided pre-adoption temperament evaluations and countless behavior modification protocols for shelter dogs, developed Therapy Dog testing protocols and helped streamline volunteer shelter dog training programs. In addition, Vinny has served on the IAABC task force to develop shelter protocols and has served as a Delta Society Pet Partner Evaluator. He has assisted numerous dog handlers train their own assistance dogs. In 2010, Vinny became involved in K9 Nose Work™ through the NACSW. In June of 2011, Vinny became one of the first Certified Nose Work Instructors (CNWI) in New Jersey. Dedicated to continuing education, Vinny attends numerous educational seminars and workshops. He is a recognized lecturer and has been a speaker at the Association of Pet Dog Trainers (APDT) National Conference and at the International Association of Animal Behavior Counselors (IAABC) inaugural conference. Vinny was a featured speaker at the 2011 Hunter College Psychology Symposium and the 2012 International Association of Animal Behavior Consultants Educational Conference. Vinny’s own dogs are trained as a classroom demonstration dogs, are Certified Therapy Dogs, have earned titles in agility and obedience, Nosework and “play” at sheepherding. They have appeared in books, calendars, commercials, fundraising campaigns and nationally released training videos. He has enjoyed the company of multiple canine companions for many years and currently shares his life with his wife and their four deaf Australian Shepherds. Vinny is a member of the Association of Pet Dog Trainers (APDT), The International Association of Animal Behavior Consultants (IAABC), The Animal Behavior Society (ABS) and the National Association of Canine Scent Work (NACSW). Vinny holds a Master’s Degree in Finance and a Graduate Certificate in The Advanced Psychology of Animal Behavior and Conservation in December 2011 from CUNY’s Hunter College. 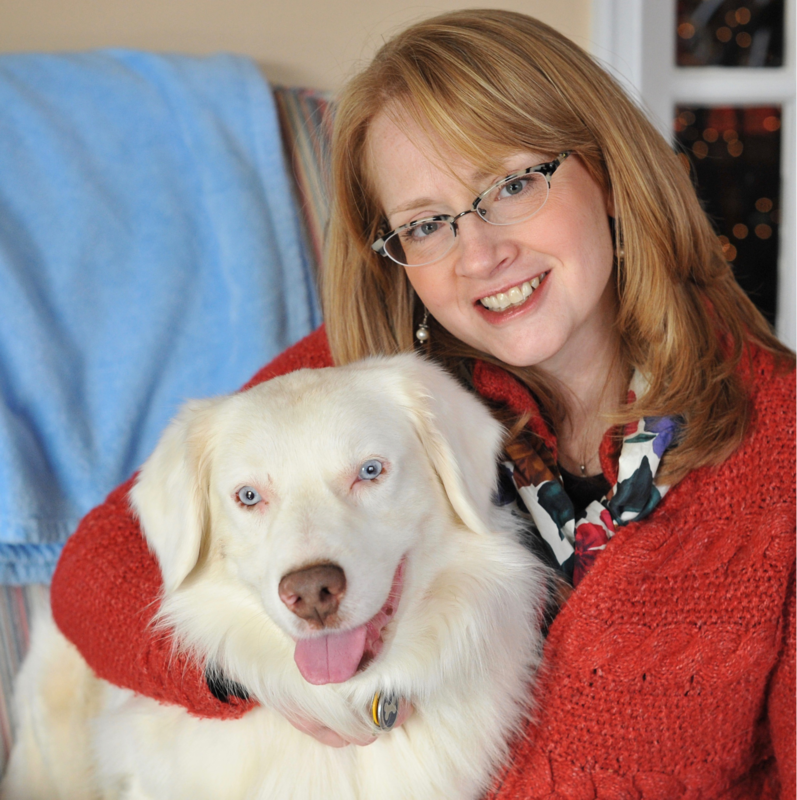 Laurie Corak is a professional dog trainer with over five years experience training and working with dogs. A dog lover since childhood, Laurie grew up surrounded by dogs on her family’s farm. She and her Labrador, Moose, were a therapy team for several years and participated in a children’s reading program. 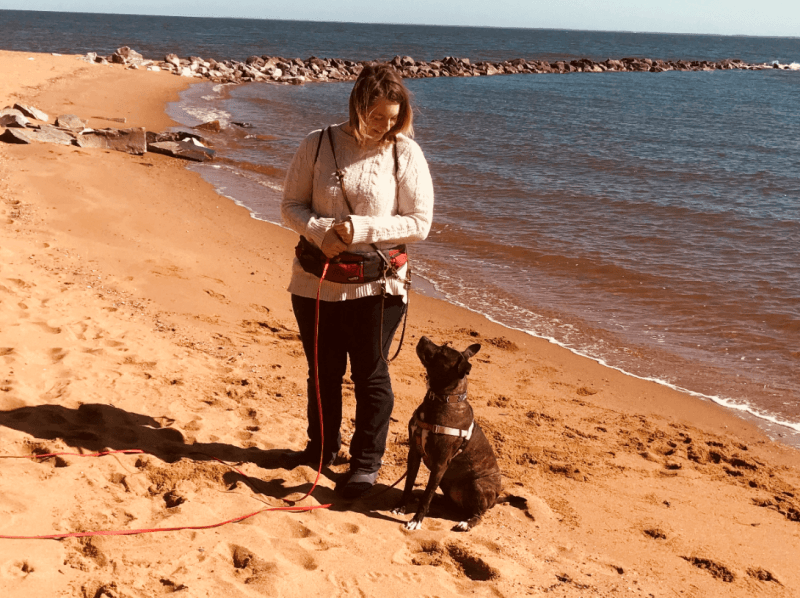 Laurie began assisting and teaching puppy and beginner classes locally and quickly became focused on learning about dog behavior in 2012, when her second dog, Pickles the pit bull entered her life. Wanting to further expand her knowledge and skills, Laurie joined the Coventry staff in 2015 and in 2016 began training puppies and dogs through Coventry’s puppy prep school and day training programs. Laurie became an classroom instructor with Coventry and obtained her certification as a Certified Professional Dog Trainer in 2017. Laurie currently teaches classes, as well as trains and coordinates the Coventry Day Training program. She has successfully helped many humans understand their dogs needs and her work has made dogs valued family members. Although she doesn’t have a favorite breed, Laurie has been known to turn to mush when she sees short haired dogs with block heads. Laurie graduated with honors from Towson University with Bachelor of Science degree in Business and Marketing, and was a Marketing Coordinator for four years. Charlotte was born with a passion for dogs and training. When training her family dogs, a German Shepherd mix, an Australian Shepherd, and a Jack Russell Terrier, wasn’t enough, she helped friends and neighbors with their own pets and horses. Charlotte started her formal career as an animal professional, by working at horse farms, children’s pony camps, and then ultimately moved onto large training barns that specialized in hunter jumpers. Charlotte’s passion for dog training was reignited when she rescued her own dog Pax. His severe aggression issues started Charlotte on her journey to understand behavior modification as well. Initially, she sought help at a training facility that implemented harsh, punitive methods, including the use of e-collars. It wasn’t long before she recognized that the increasing aggression and stress that she observed in her dog was a direct result of those harsh methods. Convinced there must be a better way, Charlotte dedicated herself to force-free training and educated herself on positive reinforcement methods. Charlotte soon began mentoring with knowledgeable and skilled positive reinforcement trainers, and studied and practiced their techniques and methods. She worked tirelessly to hone her skills and embraced the use of a clicker instead of an e-collar. The results of her hard work showed in the progress made by her once aggressive dog. Charlotte began teaching classes at local pet stores and did private private training for a variety of clients and their dogs. Charlotte fearlessly works amid punishment-based trainers in several sports while embracing positive methods. She carefully observes the required behaviors and then tirelessly designs training approaches to reach her goals while relying solely on positive reinforcement methods. She is successfully and consistently achieving excellent results. She has completed a CGC on Pax, competed at Rally and Competition Obedience and is preparing for competition in Internationale Prüfungs-Ordnung (IPO) a protection/bite sport, formerly known as Schutzhund with her newest addition, German Shepherd pup, Beo. Charlotte is dedicated to continuing education and skill building and is currently studying to take the CPDT-KA certification test. She is also an accomplished artist working in pencil, pastel, charcoal and paint mediums. Elizabeth Cummins has been working with Coventry and assisting in dog training classes since 2014. Elizabeth first connected with Coventry when she and her pit bull puppy, Mouse, came to the school for lessons in 2011. Elizabeth and her husband also have a son, Ryan (2013), and a daughter, Cassidy (2016) that shares her house along with their canine sibling. Elizabeth has continued to pursue continuing education to become well-versed in manners training classes and dog behavior. She HAS expertise is in facilitating training geared towards families and helping kids and dogs live safely and happily together. Partnering with Coventry and The Family Dog, she is able to pursue her love of both children and dogs by leading multiple classes intended for expectant parents and children of all ages. Elizabeth graduated from McDaniel University with a Bachelor of Arts degree in Sociology, works as an Operations Supervisor at T. Rowe Price, holds her Series 7 and 63 FINRA licenses, and finds that people leadership (and parenting!) has a great deal in common with dog training. She is pursuing her CPDT-KA in Spring 2019. Ron is a Certified Nose Work Instructor (CNWI™) and has been teaching K9NW® classes since May 2017. He completed his CNWI Internship (March-December 2017) at Coventry. 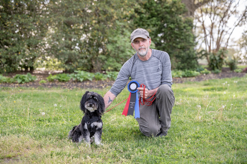 In keeping with Coventry’s principles, his training philosophy is no force training and aims to create a fun, positive environment for dogs to explore and learn to solve odor puzzles. Ron’s specialty is sharing his knowledge of K9NW while enhancing the bond between handlers and their K9 companions. Ron holds a BS in Biology and Chemistry from Towson State University and a Science Ed Teaching Certification. He is a member of the National Association of Canine Scent Work (NASCW), and The Association of Professional Dog Trainers (ADPT). Ron is active in the K9NW sport, competing with his own dog Hogan, and volunteering at trials. Ron and Hogan have achieved several titles and are currently competing at NW level 3.